A luxury, purpose built, 15 unit cattery, set in a peaceful rural location, 5 minutes from the A303. 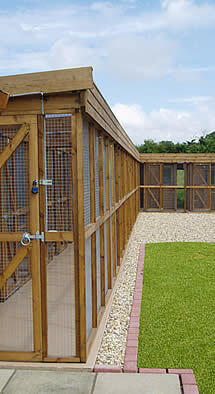 An ideal holiday home for your cat, providing quality accommodation and plenty of TLC. Inspection welcome during opening hours. Copyright © 2007 Kays Kats. All rights reserved.